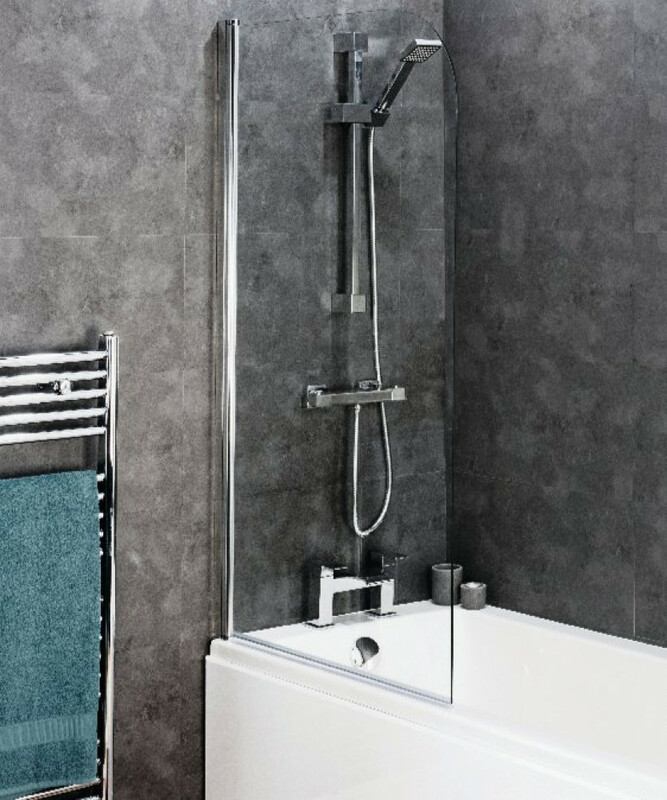 This Cassellie 8mm Curved Top Bath Screen is 800mm in width and 1400mm in height and provides great protection for over the bath showering. The screen features 8mm toughened safety glass with a polished chrome wall profile that can be adjusted for out of true walls. 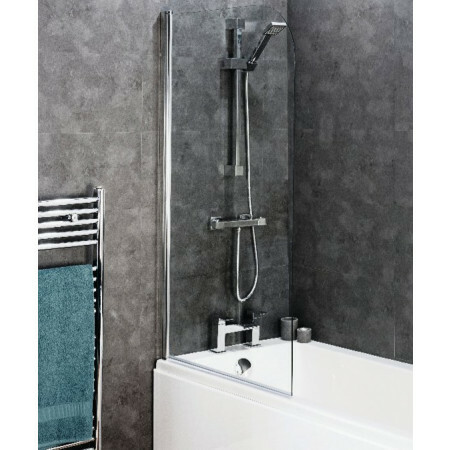 The screen is supplied with a water tight seal between the bath and the screen and can be fitted at either end of the bath, the screen also includes a comprehensive Lifetime guarantee.